The Rev. 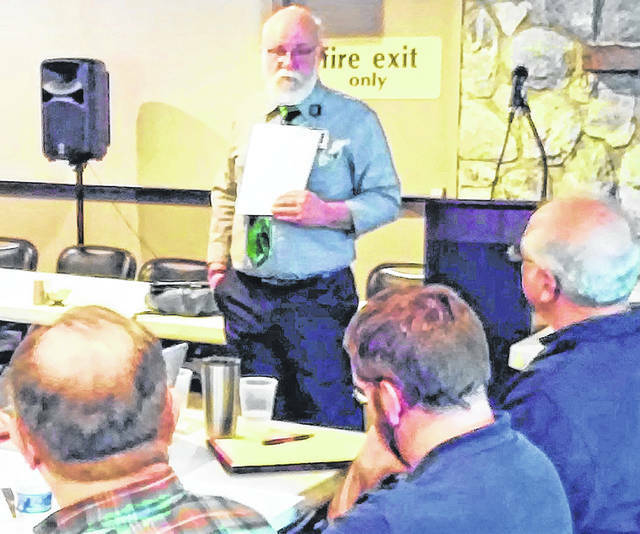 Bruce Hines, staff chaplain with Adena Regional Medical Center in Chillicothe, advised and encouraged the Paint Creek Joint EMS/Fire District chaplains at an in-service workshop Wednesday at the Hillsboro Ponderosa Banquet Center. Pastors and associates from Greenfield and Hillsboro were in attendance Wednesday at the Hillsboro Pondersosa Banquet Center for an in-service workshop for the Paint Creek Joint EMS/Fire District Chaplain Program. The book they live by speaks of “iron sharpening iron,” and the Rev. Bruce Hines personified that phrase when he spoke before the Paint Creek Joint EMS/Fire District Chaplain In-Service Program on Wednesday at the Hillsboro Ponderosa Banquet Center. Hines spoke on a wide of range of topics including what to do and expect when deployed to an accident scene, and what not to do and what not to say from a legal standpoint. Hines is a staff chaplain at Adena Regional Medical Center in Chillicothe. He told The Times-Gazette he’s been involved in the fire service since 1977 and for more than 20 years in the chaplaincy. 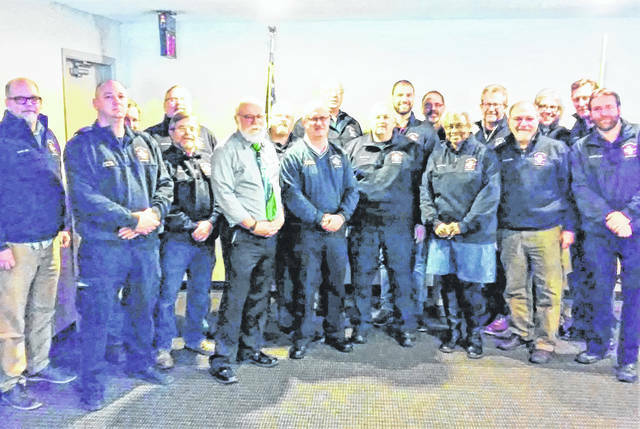 Paint Creek Fire Chief David Manning said the chaplain program came about when firefighters like himself saw a need to provide a resource to fellow firefighters and those they provide life-saving services to in times of need. Patterson, a firefighter/EMT with Paint Creek, lost his life Sunday, June 24, 2018 after an accident at the district’s station near Rainsboro, and 2-year old Toby Moore was killed in a traffic accident near his home in Hillsboro on Sept. 16, 2018. He said the pastors in the program volunteer their time one week per month in rotation and agree to be on-call for when they’re needed. During that time, Mzanning said, they’re stopping in the firehouse and getting to know the men and women that make up the fire and life squad crews so they will know the chaplains are there in the event of a tragedy like a death or other serious incident. The Rev. Clayton Self pastors the Hillsboro First Baptist Church and places great value on the chaplain’s program.